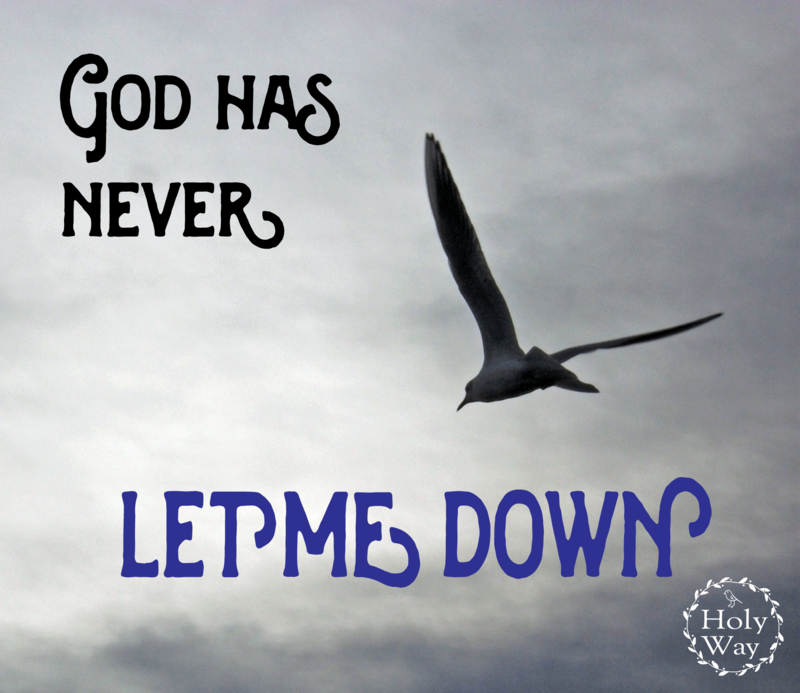 God has never let me down. The important thing to remember, when asking in faith for God’s help in your life, is to trust that He is there and He wills only good for us. In every difficult situation I have found myself in, by placing myself and the situation, in trust, in God’s goodness, things have always worked to good. In trusting I hold my focus on the light and goodness of God and His promise to save me (see Psalm 91). It is then so important to keep my heart and mind in the knowledge of His love and the blessing that trust brings. God has never let me down. He has always kept His promise.